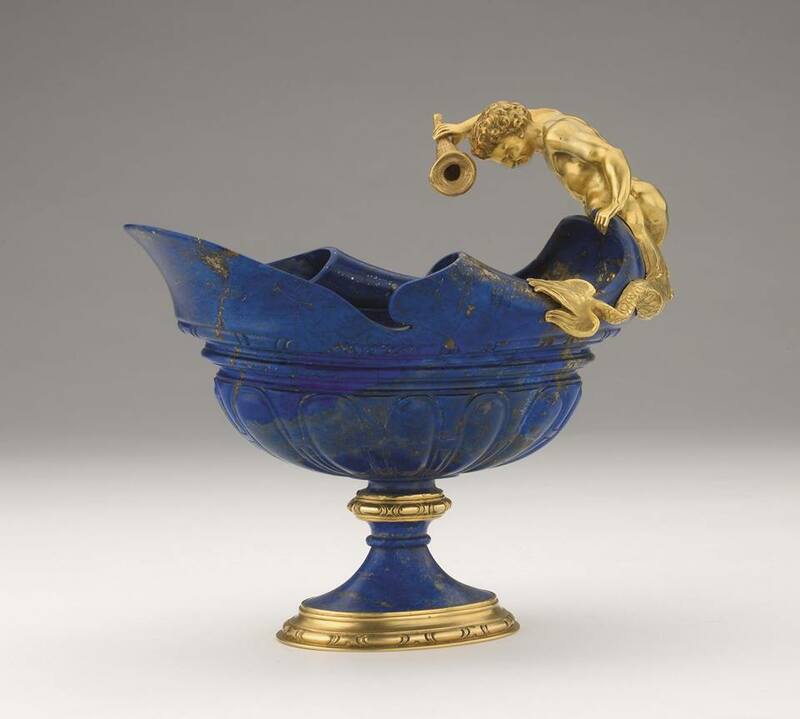 On show at the Museo degli Argenti, the Silver Museum of Palazzo Pitti in Florence, is the exhibition “Lapis lazuli. Blue Magic”. The aim of the show, the first to ever be dedicated to this specific topic, is to document the passion for this semi-precious stone and its use in science and art from its origins to the present day. Contrary to popular belief, lapis lazuli is not a mineral but a rock composed of several minerals. 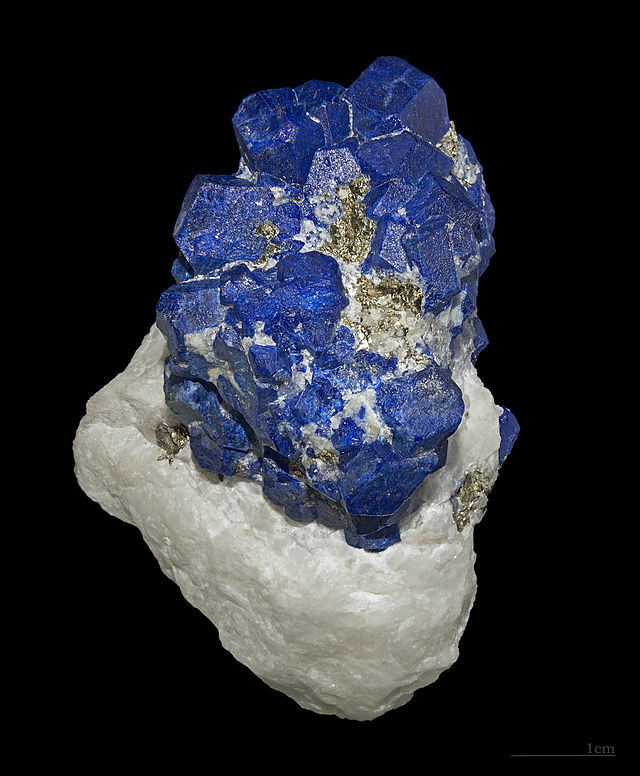 Its blue colour is due to the mineral that is dominant, the lazurite. Lapis lazuli is found in limestone in the Kokcha River valley of Badakhshan province in north-eastern Afghanistan, where the Sar-e-Sang mine deposits have been worked for more than 6,000 years. Afghanistan was the source of lapis for the ancient Egyptian and Mesopotamian civilizations, as well as the later Greeks and Romans. Ancient Egyptians obtained this material through trade from Afghanistan. During the height of the Indus valley civilization, about 2000 BC, the Harappan colony now known as Shortugai was established near the lapis mines. For centuries lapis lazuli has been used for creating ornamental articles or objects of worship. The exhibition begins with the archaeological finds from the excavations in the Indus Valley (Mehrgarth, 7000 BC), in Mesopotamia (Sumer, 6000 BC, Ur, 2500 BC) and Egypt (during the XVIII dynasty, about 1500 BC). 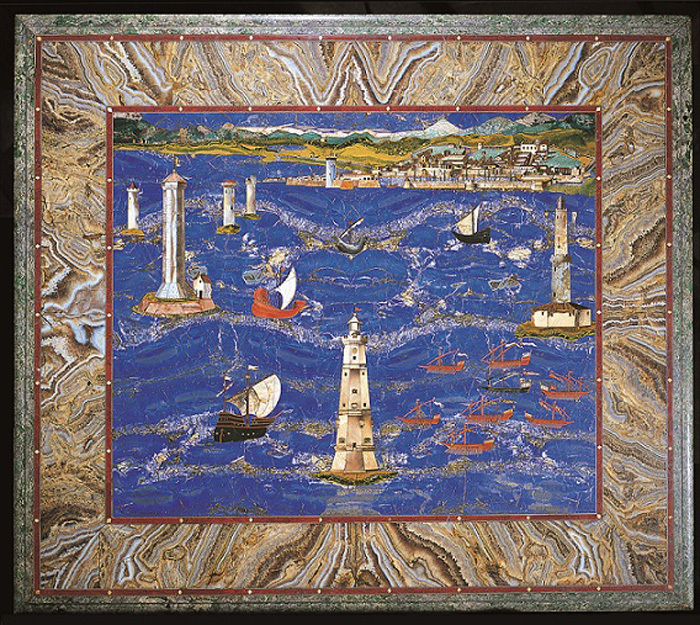 During the Renaissance, the preciousness of the material was particularly popular in Florence. 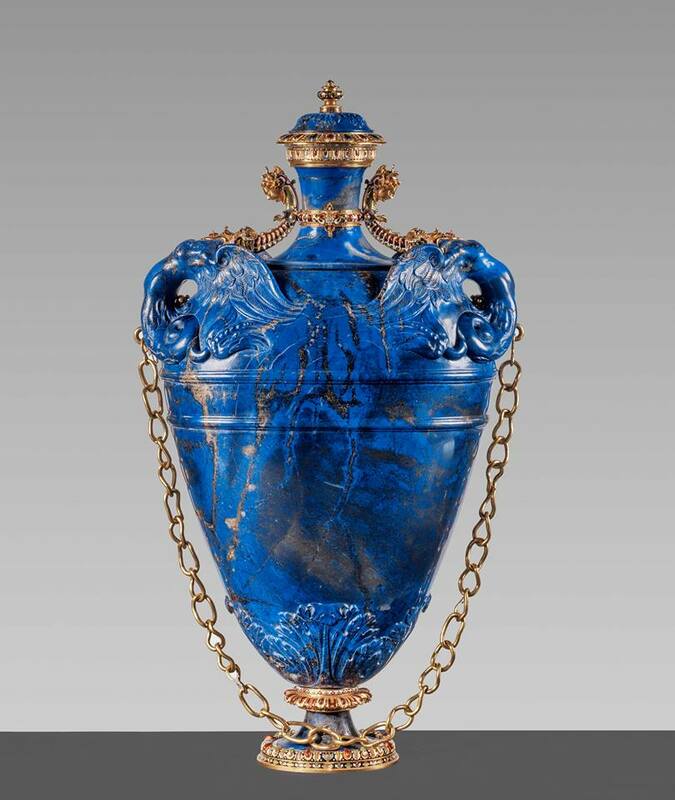 Yet one of the most spectacular European collections of objects in lapis lazuli began at the Medici court : not only goblets, vases and amphorae, but also inlaid furniture, table tops and products made in the workshops founded by Francis I in the Casino di San Marco and in the laboratories established by Ferdinand I in the Vasari Uffizi complex, until the decline of the dynasty. Powdered lapis lazuli was used as pigment from ancient times until the nineteenth century. As iconographical colour of the Holy Virgin, as symbolic colour of royal ranks, as emblematic colour of the kings of France, as fashion colour, blue becomes, in the late Middle Ages, the most beautiful and noble of colours. 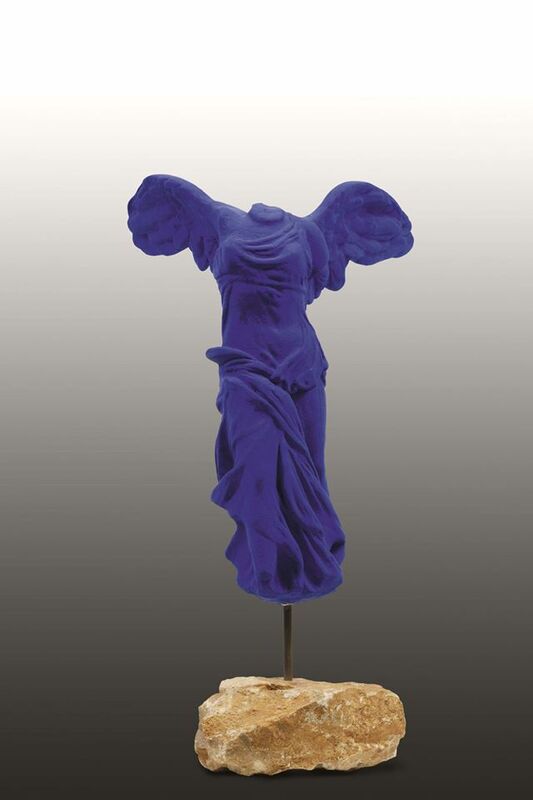 Working its way through centuries of masterpieces, the exhibition ends with the works of 20th-century artists who used the new deep blue pigment, a synthetic industrial resin, created by French artist Yves Klein. On until October 11th at the Museo degli Argenti, Palazzo Pitti, Florence. Opening hours during June, July and August from 8.15 am to 6.50 pm and during September and October from 8.15 am to 6.30 pm. 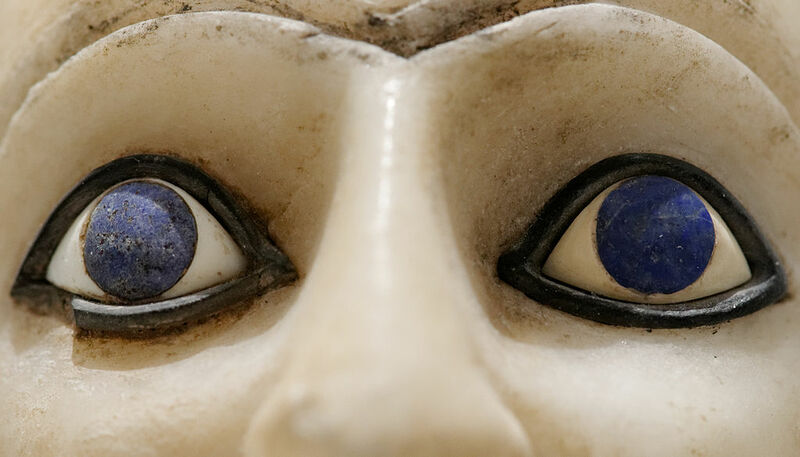 Full price ticket costs 10 Euros and also allows admission to the Porcelain Museum, the Boboli Gardens, the Costume Gallery and the Barbini Garden. Questa voce è stata pubblicata in Art in Florence, Exhibitions in Florence, Exhibitions in Tuscany, Florence, Tuscany e contrassegnata con exhibitions, Florence, Lapislazzuli, Museo degli Argenti, Palazzo Pitti. Contrassegna il permalink. I want to let you know that the wonderful and precious Book of Kells in Trinity College,Dublin has generous amounts of Lapis Lazuli in its depiction of the Four Gospels. The book was created around the year 800 AD. It is considered to be one of the most precious books in the world. I hope you have some mention of it in the current exhibition. I will be visiting soon. Thanks Nuala for the info. The Book of Kells is truly an incredible masterpiece. If you’re going to the exhibiton in the Silver Museum, let us know if you find any mention to it and post it here. Have fun and enjoy your stay here in Tuscany.